It's hard to believe that we graduated over 41 years ago! It doesn't seem that long since we were wearing miniskirts, music was on 45's, and a mouse was a rodent. Surfing was popular on television and in the movies and in areas like California, but it had nothing to do with computers. 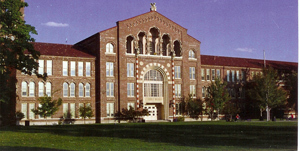 If you were a member of the South High Class of 1967, register on the class website at http://www.classreport.org/usa/co/denver/shs/1967 and view photos from the 40th Reunion on September 28-29, 2007. Update your information, and view information about some of your classmates. In the 1960's in Denver there were only three grades in high school - sophmores, juniors, and seniors. The ninth graders in junior high were sometimes called freshman. Public school students attended kindergarten through sixth grade in elementary school, and seventh through ninth grade in junior high. Has it really been 41 years? Has it been that long since girls always had to wear dresses or skirts to school, boys could smoke outside at the Rock Pile, and typing class included one week for each student to have a turn at using the electric typewriters instead of the manual typewriters used the rest of the time? It was just a few months before we started high school, on February 9, 1964, that the Beatles first appeared on the Ed Sullivan show. We all remember November 22, 1963, when President John F. Kennedy was shot and killed in Dallas - we watched it happen over and over again on television. Do you remember some of the music from 1967? Popular songs included "Ruby Tuesday" by The Rolling Stones, "Penny Lane" by the Beatles, Aretha Franklin's "Respect," "Somethin' Stupid" by Nancy and Frank Sinatra, and so many others. Popular movies about that time included "The Dirty Dozen," "The Graduate," and "Guess Who's Coming to Dinner?" We remember the VietNam war all too well, the protests, sit-ins, and riots happening in the world outside; but they did not seem to quite touch us yet while we were still at South High. Some things have not changed at all - "I Love Lucy" reruns were on television then and still are today. My name is Susan (Thurtell) Miller, and I have lived in the same house in Wheaton, Illinois, since 1973. I lived at 884 South Vallejo Street, Denver, Colorado 80223, from September 1954 until about September 1970, when I moved to my own apartment in Denver. 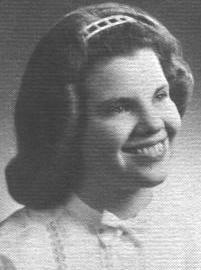 I attended the University of Denver after I graduated from South High in 1967 and began working as a temporary employee for the federal government during the summers of 1968 and 1969, and then continued working for the government until my retirement from Social Security Administration, Aurora, Illinois, in March 2006. I met my husband, George G. Miller, while a hostess at the USO in downtown Denver on November 12, 1969. He had just been transferred to the Air Force Accounting and Finance Office after leaving VietNam and came to the USO on square dance night. I invited him to try square dancing, and he decided to try it. We were married in Denver in November 1970 and moved to New York in January 1971 when he was discharged from the Air Force. We moved to Wheaton, Illinois, after my husband graduated from Manhattan College. We have been square dancing again continuously since 1988 and are currently members of the Fox Valley Mixers Square Dance Club. I have been a baseball fan since my junior high school days, and there is a great photo of me combining two of my hobbies on my web page at http://www.thurtellfamily.net. I have also been interested in family history since about 1963 and first learned to do web pages at a two-hour class during a free genealogy seminar in 1997. I was in the first class to ever study Spanish in the fourth grade at Goldrick Elementary School, and I continued studying Spanish through high school. My Spanish teachers at South High were Mr. David Owen and Miss Rubymae Evans, each of whom taught at South for around 30 years. I became Mr. Owen's teacher's assistant during the second semester of my sophmore year and continued as his assistant until I graduated. My sister, Patti, then became his teacher's assistant until she graduated in June 1969. I believe he passed away during the summer of 1969. Miss Evans retired and lived in La Jolla, California, for many years. She sent me Christmas cards every year through 1986 including letters with information about some of my classmates. I was always amazed that she could recall which students had been in which classes nearly twenty years after graduation. The card I sent her in 1989 was returned - she had moved, and I did not have a current address. She passed away April 4, 1992, in Olmsted County, Minnesota, according to information I located in the Social Security death index and the Minnesota death index. As I wrote to Miss Evans so many years ago, I began using my Spanish at the Aurora, Illinois, Social Security office, in 1977 as a claims representative and continued using it there until my retirement. There is a large hispanic population in the area. I'd love to hear from any of my former classmates, and I have been enjoying reading the information and viewing the photos on the website at http://www.classreport.org/usa/co/denver/shs/1967. I have never attended any of the reunions but very much enjoyed the booklet that was prepared for the 30th class reunion. I hope this little website can assist people in recontacting each other. I have found distant cousins all over the world since I began using the internet for genealogy research 10 years ago. Please let me hear from you, but also don't forget to update the page at http://www.classreport.org/usa/co/denver/shs/1967.